Big Wipes Hand Cream is amazing. and has immediate relief from dry and rough skin. Big Wipes hand cream is a high performance treatment cream. It has a non-greasy texture and is alcohol and fragrance free. Big Wipes hand cream leaves the skin soft, smooth and more youthful looking. 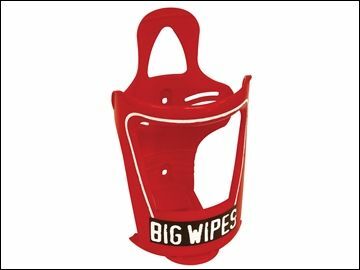 Big Wipes hand cream improves the moisture balance of the skin. It increases the skins capacity to absorb and hold moisture- facilitating intensive long-lasting re hydration. Big Wipes hand cream helps to enhance the skin's barrier function. it removes dead skin cells which strengthens the barrier function of the skin. this helps to keep the hands looking youthful and healthy .Dermatologists recommend Big Wipes hand cream as a very effective treatment for dry skin, it contains 10% urea and 5% Lactate AHA, Big Wipes hand cream is an ideal combination to restore the skin's smoothness, softness and flexibility. Big Wipes hand cream helps initiate Natural Exfoliate Action, it loosens the rough layer of skin which then makes room for re growth of new skin which has a softer, smoother complexion..
Cracked skin can be healed quicker using Big Wipes hand cream as it has an anti-fungal and anti-microbial properties that promote fast healing, bringing much need relief to dry cracked skin.